Dark violet is a super deep shade of concentrate violet very close to black. Great color for a solid base and shading. Prime Pigments are vegan friendly made using the best non-toxic organic pigments available. Between the superior pigment quality very high pigment load so you can get the best coverage and brightest colors in your work. 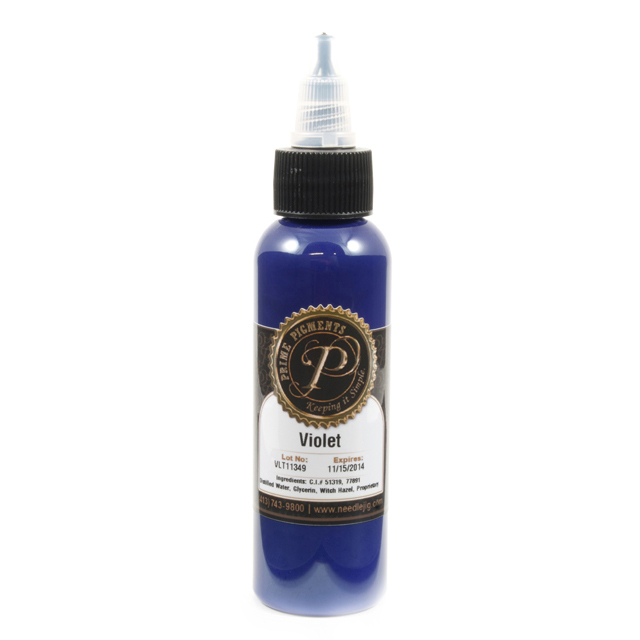 Violet is a , deep, vivid color that is luminous and very beautiful. Ideal for florals and mandala tattoos. Dead is a muted murky pastel tone of violet. Ideal for zombies. 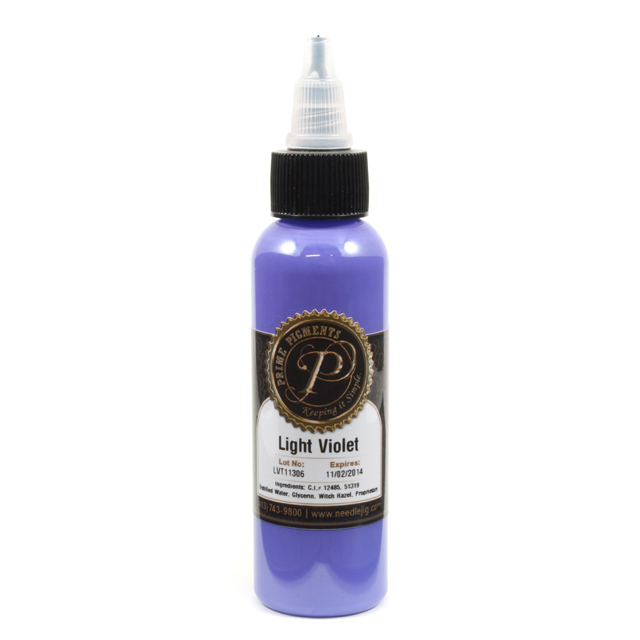 Light Violet is a soft yet eye catching tint of violet. An amazing color to use for florals and gems. 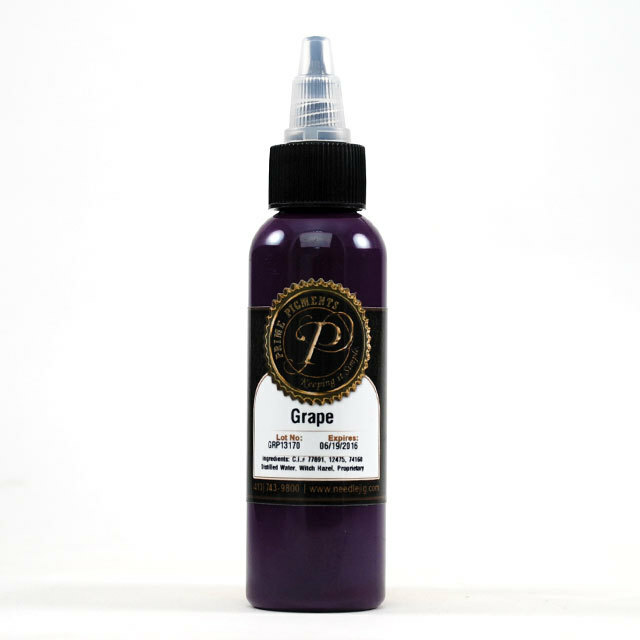 Grape is a vivid nicely balanced tone of violet that heals rich. Great purple basecolor. Light magenta is a vibrant and bold tone. One of our most versatile colors can be used for any number of tattoo designs. Excellent to give you piece a polished appearance. .
A creamy pastel tone with a fluffy texture just like a raspberry ice cream. Plum is a versatile rich deep purple, perfect to add a subtle hint of vivid color to a black and grey piece. 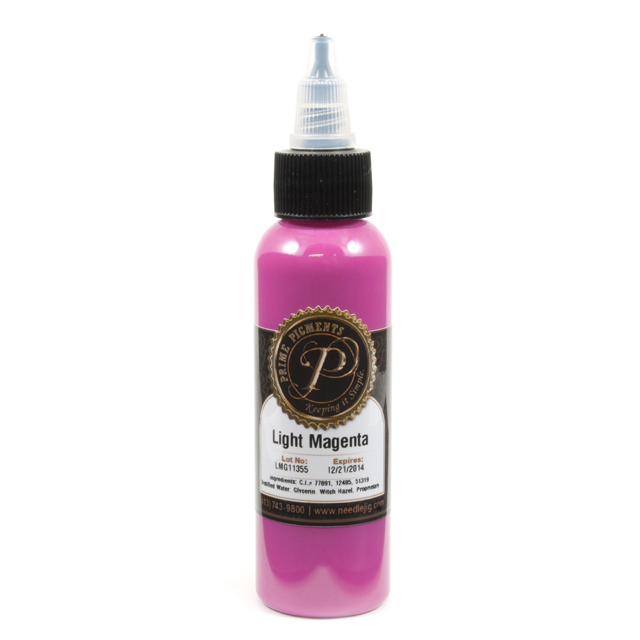 Magenta is a true solid tone with a good depth, great for blending. An essential for floral work. Orchid is a concentrated tone, closer to a dark purple tone . Is the color youneed for those tattoos that need a touch of mysticism. Dark magenta has a unique rich depth, great to break down in tones, very versatile use it for cover ups and fantasy pieces.